From the moment you hear the opening chords of From the Undertow there is a reassuring and comforting sense that you are in familiar waters. Both the style and the tone signal not only clear connections with And Then There Were Three (which was released the previous year), but also foreshadow many of the progressions which were to feature on Duke, released just a year later. Sandwiched between these two ‘new era’ Genesis albums, I think the position of A Curious Feeling is not, with the benefit of hindsight, entirely accidental. At the behest of both Rutherford and Banks, Phil Collins had taken time away from Genesis in an attempt to rebuild his marriage. Mike Rutherford was working on the excellent Smallcreep’s Day which he eventually released in February 1980 and progressive rock generally was succumbing to, if not being swept aside by, the electrifying rise of punk. In the midst of all this, Banks turns for inspiration to the novel Flowers for Algernon by Daniel Keyes as the frame on which to build his first solo album. That he then deliberately forges a link in the opening track to And Then There Were Three would suggest there was unfinished business he felt he needed to tackle, an itch which hadn’t yet been satisfactorily scratched. Certainly the timing of the release of A Curious Feeling in October 1979 may go some way toward explaining why it does not seem to have garnered – quite wrongly in my opinion – the critical acclaim it deserves. From the Undertow appeared in the 1978 British film The Shout and featured Mike Rutherford, though no soundtrack album was ever released. Reviews generally were not kind, a ‘concept album’ out of time, out of place and lacking an obvious audience to which it would appeal. 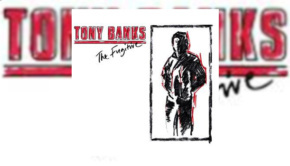 Yet despite this, the record still remains one of the few Banks albums to have entered the British charts, where it stayed for 5 weeks and reached as high as number 21. Nor do I believe the timing of the album was in any way careless or accidental. Banks has always believed in the inherent value of the music he creates and even if we subscribe to the out of time argument, he is also astute enough for us to believe that releasing it when he did fulfilled some kind of purpose. 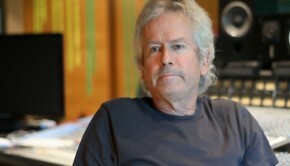 Part of the answer lies in a track Banks wrote for Wind and Wuthering called One for the Vine where he explored a range of musical ideas within the constraints of a ten minute time frame. Having the opportunity to develop a full blown musical theme and let it organically grow across an album was an attractive path to explore. Part of the answer also lies in the splintering of Genesis, the departures of Hackett and Gabriel, uncertainty about the future of the band and a desire to further a set of creative ideas which found expression first in Wind and Wuthering as well as And Then There Were Three. Unfinished business indeed, combined with both a personal and a professional need to see things through to a natural conclusion. 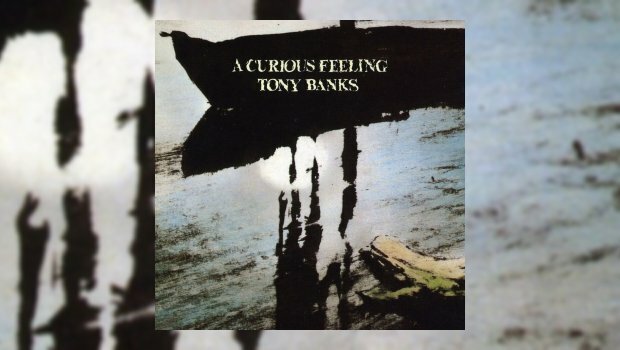 Listening to the superb recording values of this excellent remix, a collaborative effort between Banks and Nick Davis from the original masters, it is not hard to discern why Banks felt so strongly about doing a solo album. Compared to And Then There Were Three, the sound as well as the style of playing is stripped down, more direct and devoid of the all the intricate flourishes which reappeared in Duke. The compositions have a more direct, straightforward and starkly progressive character, combined with sprawling symphonic landscapes and inventively rich soundstages. Banks has complained that the original release was “sonically poor” and the new release does a magnificent job investing the music with a vitality and dynamism previously absent from the album. Chester Thompson’s drumming particularly benefits from being more crisply defined and elevated more prominently in the mix. Kim Beacon’s vocals now sparkle with an edge and a focus which lifts and boosts all the tracks to a new level. Esoteric have done a fantastic job in providing a timely and lovingly crafted remix to a fascinating album which always deserved much wider recognition than it originally received. To hear the music sounding so good again 37 years later is remarkable testament to the longevity of an album which is most certainly no longer out of place or out of time.